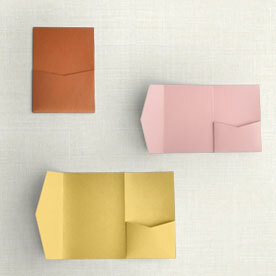 Envelopes & Liners - Pick Your Style and Color! We have the envelope and liner colors to match your invitation! 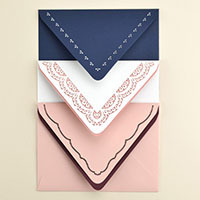 Choose from 14 envelope styles made with premium paper in over 100 colors! 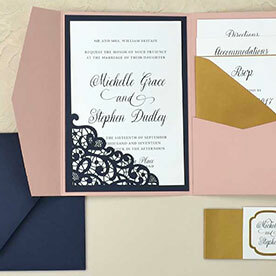 Also choose from our laser cut envelope styles to add even more elegance to your invitations!